I have to admit...I am a person who usually takes things literally. 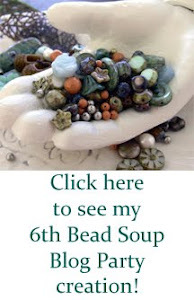 So when our monthly challenge was to use dragons as inspiration in the Facebook group Bead and Jewelry Artisans, I was a bit nervous. And then people started creating and sharing and I almost decided to just wait this one out and hope the next challenge was more something my style. 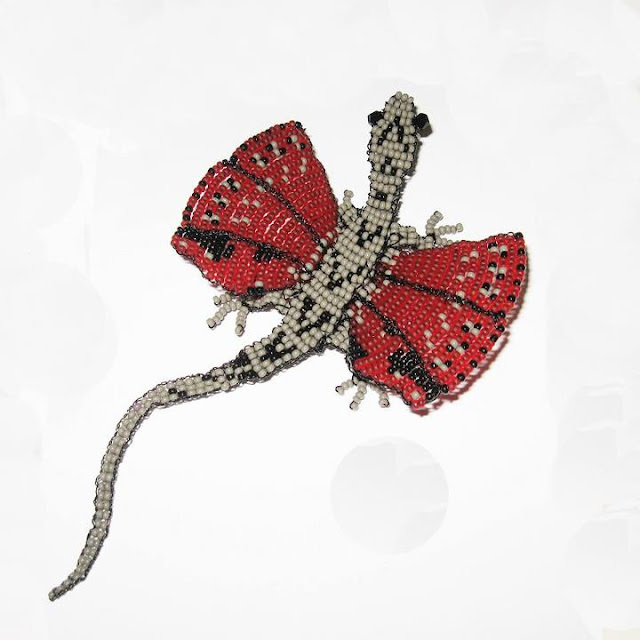 This beautiful dragon was beaded by Patricia Reeves who creates amazingly realistic 3-D works of art. 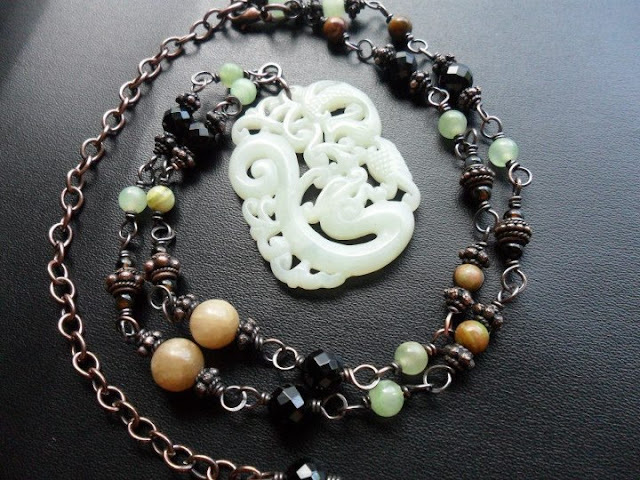 This stunning necklace with carved jade dragon pendant was created by Jamie Anderson, who sells the most amazing jewelry components in her Etsy shop. 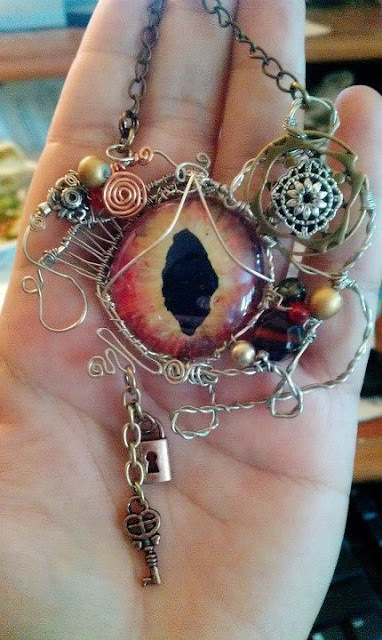 And this eye-catching piece was created by Linda Marie Owens...she used a hand-painted dragon eye as the focal and then gave it her own creative flair. But then I remembered something someone in the group had posted that talked about not comparing your work to anyone else and even if you were just beginning your jewelry journey to be proud of what you have accomplished so far. So I went back to what I had wanted to do for this challenge and that was to learn a netting stitch that reminded me of dragons. 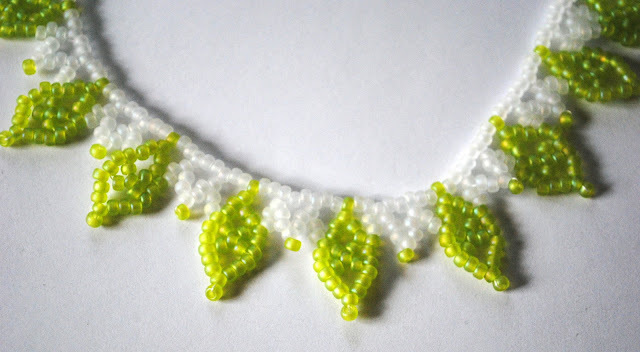 I used 8/o matte seed beads in white and lime green. Usually you think of dark colors or high contrast colors for dragons (like black and red) but I really liked how these colors looked next to each other. 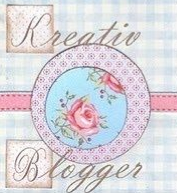 I'm looking forward to October's challenge...especially if it pushes me out of my comfort zone again! Beautiful pieces from the other ladies and from you and I agree they look more like dragon scales then teeth.